How I came to Zen practice & What is my (Zen) practice now? I graduated from St. John’s College (“Great Books Program” – very much Western philosophy, theology, etc.) in Santa Fe in 1968. When I was coming back to visit in the fall of 1969 – driving across New Mexico – some hitchhikers left a coverless book in the back of my little camper truck. That turned out to be Three Pillars of Zen, which I later read. I was on my way to Berkeley to attend Starr King School for the (Unitarian-Universalist) Ministry. It wasn’t that I saw myself as a potential minister, but it seemed like a good program, mixing social science, pop psychology, and Eastern philosophy and religion. A course there was labeled an introduction to Hinduism-Buddhism, though I don’t remember what we actually did in it. During my year at Starr King I had a weekly “internship” at Napa State Hospital, after which I started volunteering full-time on the autistic children’s ward. During that time I also read Zen Flesh, Zen Bones. After a few months I got hired for a 9-month temporary position on the autistic ward. I loved the work, it was extremely challenging and rewarding, but also stressful. One week we had only one day off, the next week three days off. Sometimes on 3-day weekends I went somewhere “exotic” in search of rest, relaxation, and inspiration. A St. John’s friend was a bread baker, and somewhere I had bought her a copy of the Tassajara Bread Book. Before sending it to her, I read about Tassajara, and decided I’d like to visit. One weekend in the summer of 1971 I drove down from Berkeley (from which I commuted to work at Napa). On the way I picked up a hitchhiker. But the engine of my truck had a problem and, as we got closer to Tassajara, it wouldn’t pull the hills, it lacked power. We got out and hitched a ride with someone else. The person who picked us up had also already picked up a hitchhiker, so now there were four of us – and it felt like a regular pilgrimage train. We got to Tassajara late in the afternoon. Someone at the gatehouse took our day-use fee and gave us towels for the baths. I remembered that I had a small boil on my leg, and asked if that would prevent me from using the baths. The gatehouse attendant responded enthusiastically, “Oh, a healing!” So I used the baths. I’d been reading Zen stories and such, but knew nothing about practice, and felt it would somehow be sacrilegious for me to attend without knowing how to do it or what it was about. So I didn’t go in. Meanwhile it had gotten late into the evening, and perhaps the driver who had brought us in had already left, or was staying overnight (I don’t remember). In any case, the fellow I had picked up and I had no way to get back out, and it was late. We explained to the gatehouse attendant (not the same person as earlier, I believe), and he was also understanding. We could sleep in the gatehouse, he said, as long as we left early so no one would know. Of course we had no bedding or anything, and I don’t remember how we managed to sleep, but we did, and caught a ride out with two women leaving very early the next morning. My truck could run downhill, and I managed to get back to Berkeley with it. There I decided to go to the Berkeley Zendo for zazen instruction, which was held perhaps half an hour before evening zazen one day per week. Somehow I got the time confused and arrived too late for instruction, but someone encouraged me to go in anyway. The zendo was upstairs in the attic of the old building on Dwight Ave. As I came up the stairs, Mel was sitting facing me, and nodded me to a seat along the wall towards the far end. I sat down without noticing much about what other people were doing. Since I’d missed instruction, I didn’t know that one should sit up straight, have one’s eyes slightly open, etc. I sat hunched over with my eyes closed. Eventually my back started to ache so I started moving my back this way and that, trying to find a comfortable position. I came the next week for instruction and wondered what the person next to me must have thought about my behavior the time before, but of course no one had said anything about it. I don’t remember if it was the first time I’d sat (before instruction) or sometime soon thereafter (after instruction), but early on a “psychic” experience confirmed that I was in the right place. I had my eyes open – I remember looking a bit off to the right, at a spot among the rafters that I wasn’t actually seeing – and had a “vision” of some sort, maybe just a strong feeling, because I don’t recall any actual visualization – but something very intense happened – I felt transfixed – and I felt that I was home. It felt like I’d been away from home for 1000 years, but now had found where I belonged. I started sitting regularly at Berkeley zendo, and also at home. Often when I felt lost and didn’t know what to do next, I would sit until I felt clear about the next step in my day. During this time – inspired by my work at Napa – I was taking pre-medical classes at Grove St. College in Oakland, intending to apply to medical school with the idea of going into psychiatry. In late spring or early summer of 1973 I started taking pre-med classes at SF State and moved into an apartment on Page Street just down the hill from City Center, where I shared a room in an apartment (rented from an elderly Russian lady) with another Zen student, who had come from the Rochester zendo and had a brown robe, as that’s what they wear there. During the summer I shaved my head – just to see what it was like – first selling my (quite long) hair to a wig-maker. I didn’t have a sitting robe so when, a few months later, my roommate decided to leave, he gave me his brown one, and I started wearing it to zazen. Perhaps Baker-roshi wasn’t around so much at that time, or I hadn’t seen him, or hadn’t thought about it, but after awhile I realized that he and I were the only ones wearing brown robes. But it didn’t seem to be a problem for anyone. I moved into City Center in September. In May 1974 – although I was on a waiting list for at least one medical school – I decided to go to Tassajara instead. Since black robes were provided there, I sent the brown one back to the fellow who had given it to me. I was a cabin cleaner during the summer at Tassajara. Feeling naturally somewhat mechanical – and having taken a plumbing merit badge in Boy Scouts – I noticed and fixed several small plumbing problems, and then was appointed plumber during the two following practice periods. After that (in May 1975) I returned to Alaska because my mother was feeling distressed as my father hadn’t filed their income taxes in several years because of a complicated record-keeping problem, and I thought I could help (which eventually I did, after first working as a professional tax preparer for a tax season). But by then I’d gotten involved with a woman whom I then helped start a daycare center which I ran for two years (she dropped out before we even opened), and I never got back to living at Zen Center, though I returned to Tassajara as a summer work-student for short periods a few times, and once for a month at Green Gulch as well. What is my (Zen) practice now? When I decided not to return to Tassajara in the fall of 1975 (see “How I came to Zen practice”) – but instead to remain in Alaska – I put up flyers around Anchorage and found two other young men interested in Zen and wanting to share a residence and create a practice place. However, as I got increasingly involved with the woman with whom I was starting a daycare center, my practice became quite irregular, because I often wasn’t home, and eventually that house broke up. In 1978 I had an opportunity – which I quickly seized – to visit China for 16 days, as part of one of the first groups allowed in as China started to open up after Mao, the Cultural Revolution, and the Gang of Four. I spent a month in Japan first – visiting several Zen temples (including Eihei-ji) and spending a few days as a guest student at one (perhaps Soji-ji). After China a friend and I continued for another 4 months – to Thailand and Burma, in both of which we visited many Buddhist sites, then on to India, and back by way of Malaysia, Singapore, Indonesia, Papua New Guinea, Solomon Islands, Fiji, Tonga, and Hawaii. Our time in China was totally planned, but in Beijing I wanted to visit the Chinese Buddhist Association (which, amazingly, still existed, and somehow I had heard about). I had brought a copy of Suzuki-roshi’s Zen Mind, Beginner’s Mind to give to them. I didn’t know how to find out the association’s address, but (amazingly again) I dialed 112 – the number in the States for telephone information – and information answered (perhaps it was an old telephone system purchased from the States before the Revolution?). They didn’t speak sufficient English for me to communicate with them, but someone at a restaurant we were at was willing to translate, and we quickly got the address. Margie (my traveling companion) and I told our tour guides that we didn’t want to go shopping (which was next on our schedule), but that instead – since they disapproved of our going off on our own – we would return to our hotel. Once there we hired a taxi and went to visit the Buddhist Association. The old monks who were there were probably terrified – why were these foreigners coming to visit them? What did they want? 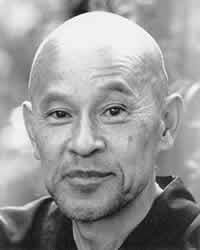 Of course we could hardly communicate, but I showed them the book with the wonderful picture of Suzuki-roshi on the back, and they graciously accepted it. Once back in Alaska I saw a notice in the newspaper that a Tibetan monk living in Fairbanks wanted to meet people interested in Buddhism in Anchorage. I responded, as did a few others (Mark and Denise). Paljor came down and we all got together and started planning a workshop, retreat, or something of the sort. Eventually Paljor moved to Anchorage, he and Denise got married, and we started a regular sitting schedule (once a week) at their house. Gradually the group expanded. Paljor was planning a 6-week trip to India to visit his friends and relatives in early 1983, and I asked if I could go along (as did Mark). Since I’d only seen the northeast portion of “mainland” India before – basically, Calcutta and Darjeeling (because we got conned out of our traveler’s checks early on, before we could get any further) – I was eager to see more of India, and planned to stay in the area (including Sri Lanka, Pakistan, Nepal, and Bangladesh) for a year. I did that, visiting Bodhgaya and Sarnath/Varanasi of course, as well as Lumbini and other Buddhist sites, including in Sri Lanka, Nepal, and Bangladesh (and Buddhist works in museums in Pakistan). But first Paljor, Mark, and I went up to Dharamsala, where Paljor arranged a private audience with the Dalai Lama. It was January and quite cold, but of course very exciting. After that Mark went to Nepal while Paljor and I visited Tibetan settlements and monasteries in the south of India, inland from Goa and near Mysore. After Paljor returned to Alaska I visited these places again, then went to Sri Lanka when I needed to get a new visa for India. After 3 weeks there I spent another 3 months in India, then some time in Pakistan, Nepal, and Bangladesh. There in the Sunderbans (swamp jungle in the Ganges delta) I met my wife, who is Swedish and was traveling on a wildlife tour (she’d also traveled independently in India before). After that I spent a year (1984) in Europe – about half with Ellinor in Sweden, or traveling with her – then finally returned to Alaska when almost totally broke (I had started out with $20,000). There I continued sitting weekly with Paljor and the slowly expanding group (Khawachen Dharma Center). Ellinor came from Sweden for the summer, then again the following summer, when we got married and moved to Washington, DC (where I’d gotten a job with the Association to Unite the Democracies). In Washington there were no conveniently located Buddhist groups, so my “regular” practice lapsed. (It had been some time since I had practiced zazen at home. Sometimes I would sit when upset about something in my relationship with Ellinor, which of course she noticed. Once she asked “What have I done now?” or something like that, which put an end to that “practice”. So what is my practice now? This question was asked at the first Tassajara “Alumni” Retreat (April 2012) – a good question, since I didn’t know the answer. I said “none” – but immediately started to qualify that as not a sufficient answer. I identify as Buddhist. I wear a mala (which I bought in India, and have re-strung and replaced beads on many times since). As mentioned, I’ve traveled in Japan, China, and India, and other Buddhist countries, visiting Buddhist temples and historical sites, thus a Buddhist pilgrimage. I even typically wear a robe – I have a day-robe (a “house dress”) and a night-robe (for sleeping) as well as a traveling robe (for both purposes) – originally made by my mother (copying one made by someone at City Center), though those are wearing out and I’ve had to start replacing them commercially. But – since I haven’t had a regular individual sitting practice since shortly after leaving Tassajara in 1975, and haven’t sat with a group since we left Anchorage for Washington DC in 1986 – what effect has zazen had on my life? Some people may find Zen practice more natural than others. My father visited for a few days when I was spending a month at Green Gulch in the summer of 1977. He saw lots of fruit going to waste on the ground, picked more off the tree and canned it, carefully labeling everything. Someone commented that he seemed like a natural Zen student. Of course he wasn’t familiar with zazen, but commented after his first experience of it that it was just like sitting in a hunting blind, alert, waiting for a deer. I have some “compulsive” tendencies which I don’t think were stimulated by Zen practice, but in fact might be moderated by it. I like to keep shoes orderly in our shoe rack – a tendency also of some autistic children (see “How I Came to Practice”). I sort the silverware in the drying rack – we don’t use a dishwasher – so it looks nice, and it’s easier to find what one wants the next time (I see no reason to put it back in the drawer). When I’m available – which is most of the time – I do the laundry and carefully fold it, especially shirts: first in thirds lengthwise, then in half and half again the other way. Sometimes I’m aware of my breathing, and – especially since I got used to it during and after cancer treatments in the fall of 2010 (when I had a feeding tube for many months) – I often fall asleep lying on my back, in a sort of yoga posture. When making love with Ellinor I’m usually aware of her breathing as well as my own. When out walking together (in the city, not on a hiking trail) we usually walk in step. I’ve learned, with email, if someone writes something that upsets me (in a group – where these things tend to happen, and where it feels more insulting), to either wait first, or write a draft response, then sit on it for a good period of time (maybe not sending it at all, or probably revising it substantially in any case). These things all seem like the fruit of practice (if not practice itself). Of course I contribute to the support of Zen Center financially as I feel able, as well as to the group in Anchorage and another group in the Midwest. I have visited both Zen and Tibetan groups here in Göteborg. When Denise edited a film on Tibet and sent us a copy, we gave it to the Tibetan group. Before we left DC we gave a wooden block for printing prayer flags to a Tibetan group there. (We had earlier printed prayer flags on rip-stop nylon and hung them up in Alaska.) And I sometimes get in to sit with the group when I’m in Anchorage. Perhaps it’s time for me to start sitting again at home?